James Wellbeloved Puppy wet food is made from a single source of meat protein with rice and vegetables to reduce the risk of food intolerances. It also contains beneficial added ingredients such as alfalfa, seaweed and linseed to aid your p digestion and soothe itchy skin. 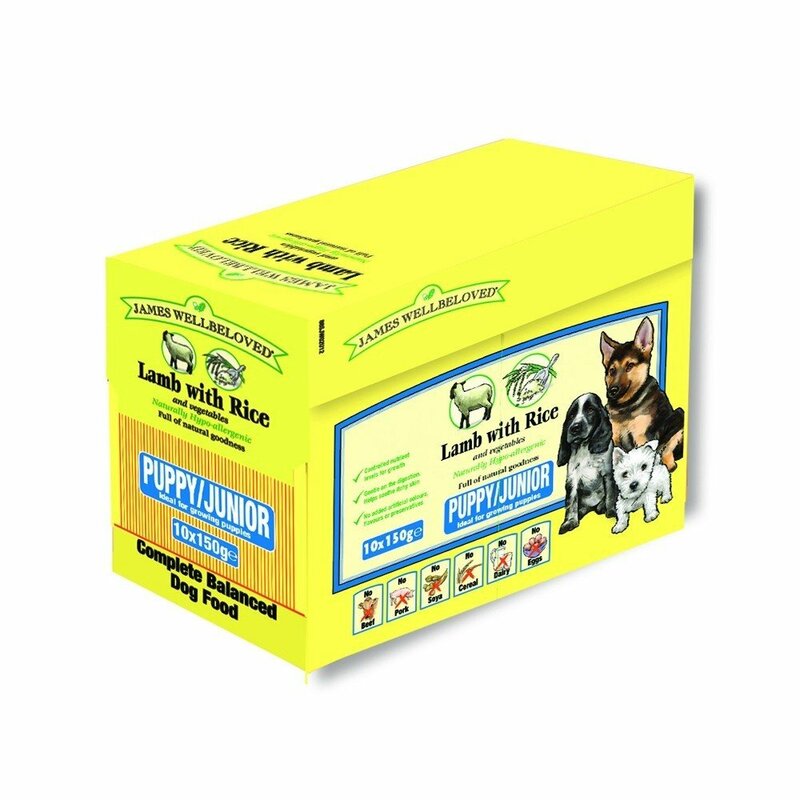 James Wellbeloved Puppy pouches contain no artificial colours, flavours or preservatives, no beef, no pork, no wheat or wheat gluten, no dairy products, no egg and no soya.